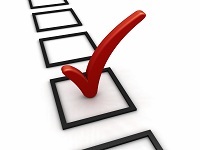 An assessment to examine your ability to drive a performance improvement company initiative. Click on the checkmark to begin! After you finish, analyze your results and compare to others who have taken the survey!